And this time I actually went somewhere. This year, instead of going to Friends For Life, Josh and I decided to take a vacation for just the two of us. We haven't done that since our honeymoon. Skipping FFL wasn't an easy decision. And I know I'll be quite sad during that week when I see all the tweets and pictures of so many friends having fun. But it was the right decision. 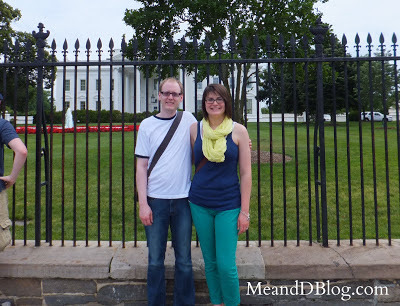 We spent an entire amazing week in Washington, D.C. And we had SO MUCH FUN! Josh and I are both big museum people. 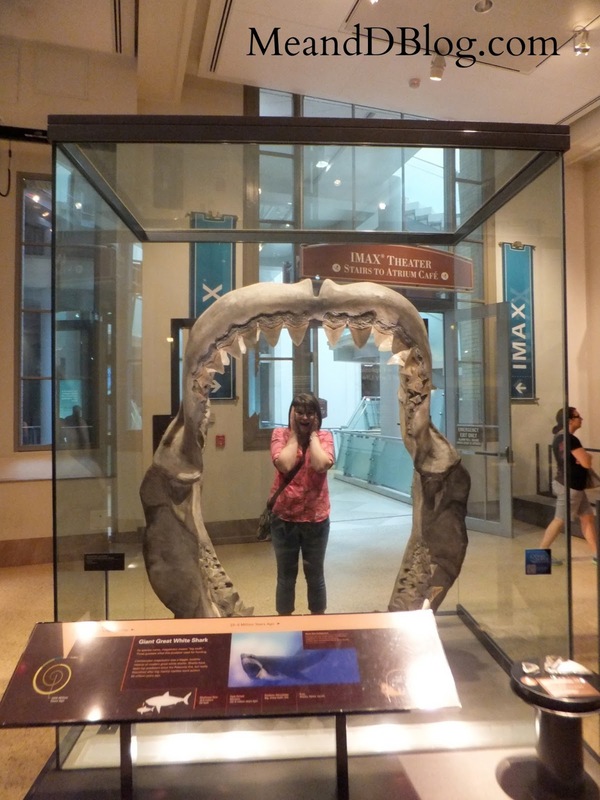 We made it to four of the Smithsonian museums, and as many monuments and memorials we could squeeze in. Thanks Dayle for taking this shot! 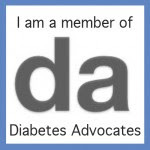 I have a number of diabetes related stories to share from the trip. A cupcake run with Chris and Dayle, the Air and Space Museum with Brian, and several diabetes in the wild encounters. The stories will be forthcoming. But I wanted to start with the TSA. Because of my pump and cgm, I request a pat down when flying rather than going through the scanners. Usually this is not a big deal. On the way to D.C., I did have a first. The nice lady wanted to see my Dexcom sensor. I usually wear sensors on my thighs. I have good accuracy luck there. And I had jeans on. So in order for her to see it, we had to go into a private screening room with a second female agent. Both agents were incredibly professional. They were just doing their jobs. I however, was completely flustered and embarrassed. And surprised. Usually when I have a pat down, I tell the agent, "This bump here is my pump site, and this pump here is my continuous glucose monitor sensor." And usually that's fine. This time, she felt she needed to see the sensor. I get it. I'm not mad. By the time the flight took off, I'd had time to process and the flustered feelings passed. From now on when I fly, I'll know that they might ask to see the sensor. When we flew out of D.C. to come home, I was expecting security to be tight. I got another pat down from another very professional agent. She didn't ask to see my sensor. I did tell the agent by the x-ray machiene that I had insulin and diabetes supplies in my carry on bag. They were fine with all of that. The liquids and needles passed the x-ray screening with flying colors. What did they send through x-ray three times before clearing it? My flat iron. For my hair. I found this incredibly ironic. And also hilarious. Flying with diabetes can be an adventure. 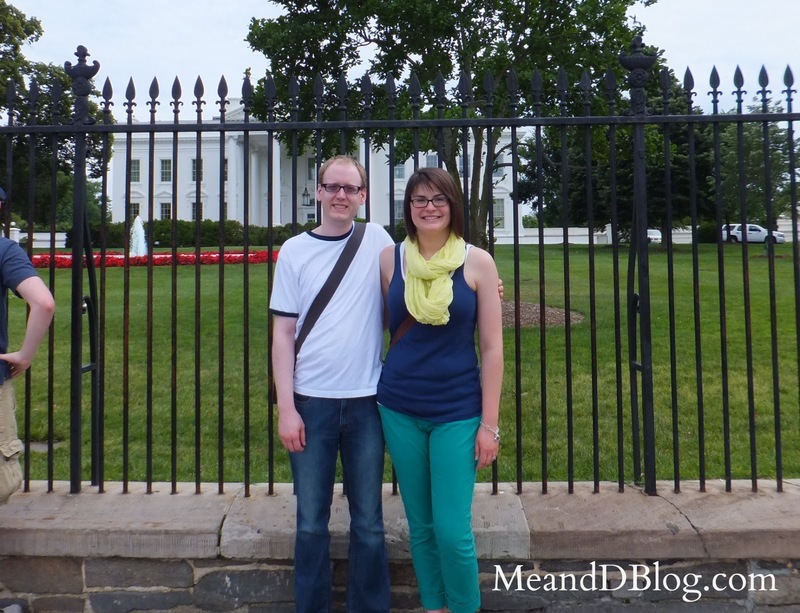 We'll sure miss you at FFL, but it sounds like you had a really great time in D.C.! As much as I love FFL, I can't imagine going every year because that wouldn't leave money to do anything new. Hopefully we'll be back in the next 2-3 years, but it'll be something we'll space out. I LOVE DC and I'm glad you were able to see so much! And I always get flustered and annoyed with air travel. My last flight was on MDIs and sans CGM and it was heaven! Awww, I sure will miss you at FFL, but I'm glad you two had a terrific vacation on your own (and yes, I totally get that!!). A change of pace is always good, and it's great that you still got to meet up with some DOC friends regardless of the change of venue. Sounds like you had a lot of fun! The last time I was flying I got some extra screening, as I always do because of my pump and CGM. I half-jokingly asked the TSA agent, who was checking me for explosives, whether it was possible to get a "Still not a terrorist" ID card. He laughed and said, "No," but he also seemed to like the idea. Maybe one day we can get photo IDs for traveling that will give us a pass from the extra pat-down/intrusion. Totally digging your decision to take a solo vacation with the hubby. Yeah I did FFL last year but that was as a part of TT1 so it was sort of more work than anything. However... going as a "participant" and being faced with diabetes seminars and stuff every single second doesn't sound like a vacation for me. Glad you had an awesome vacation and the flat iron thing makes me giggle.